Published on: August 4, 2015 | J. Bradley Smith, Esq. 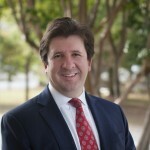 Charlotte Criminal Lawyer Brad Smith answers the question: What is an expungement? In a case that will surely make headlines across the country, a man from Clayton, North Carolina has been arrested after police say he left his wallet at the scene of the crime. Being arrested and charged with a crime is bad enough and often requires the skills of an experienced attorney to help defend your freedom and argue on behalf of innocence. Putting on a strong defense goes from merely difficult to nearly impossible when the burglar leaves behind a picture ID at the victim’s house. If recent news reports are true, this means that Joseph Alan Sherman’s attorney is going to need all the help he can get. The incident happened earlier this week when authorities say that a homeowner came home to find that she had been burglarized. The criminal had forced open the back door and eaten two frozen dinners, one with spaghetti and the other pizza. After having a hearty meal, the criminal then grabbed the woman’s PlayStation 2 and a leather jacket before fleeing out the back door. These kinds of crimes can often be hard to prosecute due to the lack of witnesses and solid evidence. The criminal in this case, Sherman, must have wanted to help the police along, because he dropped his wallet at the back door on his way out of the house. The 32-year-old Sherman was then easily tracked down by police and has now been charged with breaking and entering as well as larceny. His bond has been set at $30,000. Though the story itself is an amusing one (for everyone but Sherman), the reality is that the crimes being considered are anything but funny. First, misdemeanor larceny is a crime that involves the wrongful taking of another person’s property. A person can be convicted of misdemeanor larceny if that person is found to have done the following things: 1) taken the property of another person; 2) carried it away; 3) without consent: 4) with the intent of permanently depriving the owner of that property; 5) while knowing that the property was not theirs to take. 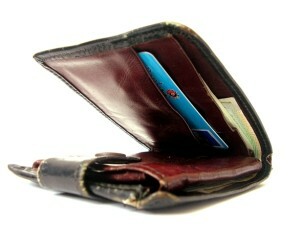 Additionally, for a person to be convicted of larceny the property stolen must be worth less than $1,000. Such a conviction would qualify as a Class 1 misdemeanor under North Carolina law. Should the value of the property exceed the $1,000 limit, the person would then face even harsher felony larceny charges. In North Carolina, there are two forms of breaking and entering. The first, simple breaking and entering, exists when a person wrongfully enters a building without permission, but without intent to commit a felony or theft. For instance, a homeless person walking in an open door on a warehouse to rest could be charged with breaking and entering. Far more serious is felonious breaking and entering. This happens when a person intends to commit a felony, steal or injure/terrorize any inhabitants of the building. The same homeless person who breaks down a back door on a warehouse and steals some industrial equipment would face felonious breaking and entering charges. Given the addition of larceny charges, Sherman will face the much more serious charge of felonious breaking and entering.